Good morning and thank you for your kind invitation to speak to you today; and in greeting you I acknowledge the original custodians of the ground we occupy. This won’t be a conventional keynote address. They usually involve somebody talking at you for fifty minutes and then hogging the morning tea before clearing off. I will be clearing off, but I want instead to say a few words and then engage in discussion with you, talking especially about the forthcoming centenary of the Great War and about teachers’ obligations and their educational relationship to the centenary. the changing nature of Australia’s relationship with other countries following each war. I’ll touch upon these points, but I don’t see addresses like this as opportunities to inform you, but rather as chances to discuss and engage teaching practitioners in discussion. I’m sure that you know as much about these questions as I do and I’m not going to patronise you by pretending that I know more about these matters than you do. Instead, I’m going to offer some brief observations under each heading and look forward to your responses. I’m offering these observations in two capacities. First, as a practitioner in the field of Australian military history. I’ve worked as a professional military historian for about 34 years, at the Australian War Memorial for 27 years, where I became Principal Historian until 2007, and via the National Museum of Australia, and now as a research professor at the University of New South Wales, Canberra. I’ve published 25 plus books, mainly in Australian military history, with more on the way, and I am interested in how Australians are approaching and reacting to the centenary, not least in my capacity as President of the ginger group Honest History – though my observations are mine, not those of Honest History, which facilitates opinions but does not itself hold them. Honest History was formed last year and now runs a website offering ideas, alternative views and historical resources in Australian history, a website which you can find just by googling ‘Honest History’. 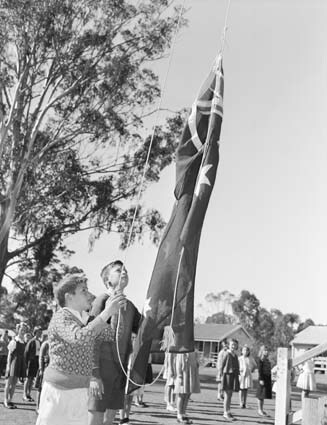 HH’s mantra is ‘not only but also’ – not only Anzac but other aspects of Australian history; more of that in a minute. Let me begin by offering a few observations about each of your starting points as a stimulus to our discussion. Clearly the world wars had profound effects on Australia, from the creation of the Anzac legend (and the effacing or obscuring of the legend of the progressive democratic nation that preceded it) to the changing demographics of Australia’s immigration program, to the switch from being subservient to Britain to being just as subservient to the United States – and for longer and with less excuse – and more besides. But I say to you: why do we focus all the time on the world wars and on Anzac? War has been important but it also tends to obscure the less dramatic but perhaps equally important aspects of Australia’s national history. The national curriculum deals with more than war but war seems to get the lion’s share of attention, certainly in curriculum materials. More of that later too, from you and from me. Looking specifically at commemoration and education, I suggest that we have achieved a dangerous ‘crossover’ in studying the place of war in Australian history, and in secondary school history teaching as much as anywhere. I’ve been wondering lately about whether educators have ‘patriotic’ obligations, so this discussion is highly germane to important questions for you and me in 2014. Let me suggest that we have seen three eras in the response to and study of war in schools. 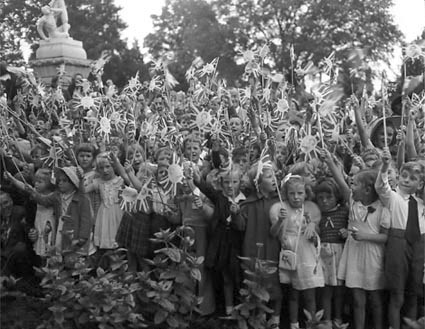 First, from 1915 to about 1980, when war basically wasn’t a part of Australian history teaching – though schools marked Anzac Day and often Remembrance Day with varying degrees of enthusiasm, but outside the classroom, and as part of an explicit era of patriotic observance. Secondly, from about 1980 up to the present, when schools started to study the effects of war on Australian society and to look critically at how Australians remembered or commemorated war. That’s more or less where it is now. And thirdly, the future, where, if we’re not very careful, we will see war history in schools used as a vehicle for explicit, compulsory commemoration, in which we are no longer able to look critically at Anzac, because to do so will be regarded as ‘inappropriate’ or ‘unpatriotic’. I fear that unless you are vigilant this will happen. I should make clear my outright opposition to the way children are used – I would say exploited – in pursuit of a commemorative agenda. How often have we seen children conscripted to be either the background to commemoration, extras or actors, as in the event at the Australian War Memorial recently? We hear 10-year-olds saying, ‘we should be grateful because they died for us’, or ‘thank you to the brave soldiers who fell for our freedom’. I find this sort of exploitation and manipulation nauseating: it is not anything to do with education, but everything to do with propaganda. I was reading just the other day how in 1916 anti-conscriptionists’ meetings in Melbourne were disrupted by school children singing patriotic songs. They did not do that spontaneously, but at the directions of their teachers, who were clearly (ironically) conscripting children. How is it different to use young children – who can neither form informed positions nor dissent from ‘official’ views – in this way? I look forward to your comments and observations. Well, here we are having a debate, or will do once I shut up. The Anzac legend is a part of Australia’s past, and understanding and valuing Anzac is a part of Australia’s present. I suppose we agree that studying it ought to be a part of school history, if one purpose of studying history in school is to understand the society we constitute. But should that educational effort extend to inculcating or fostering a respect for or adherence to Anzac as part of education? I think not: it is not up to schools or teachers in our Australia to inculcate ‘proper’ attitudes. And yet the quantity and character of so much of the educational resources directed at you – history teachers – is intended not to offer merely an historical resource but to encourage school teachers to adopt a basically favourable attitude towards the study of war. 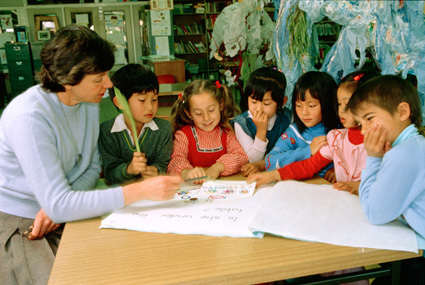 Teachers are induced to deal with war, if only because sources relating to it are seemingly easier to obtain – vast quantities relating to war are produced by the Australian War Memorial, the Department of Veterans’ Affairs and other agencies such as the National Archives of Australia. I don’t necessarily criticise the individual products, which I’m sure have been produced by experts of one sort or another, but I would make several criticisms of the phenomenon. First, we need to recognise that agencies of the state produce educational materials about this aspect of Australia’s history in abundance, while other aspects of Australian history are left to fend for themselves. That seems to be iniquitous. One aspect is privileged – and with what effects? Secondly, though, is the question of what this material does not deal with. Does it devote attention to opposition to war, to the reality of war, to the effects of war (as opposed to the conduct of war, to heroes and to victories?) I think not. The nature of that material – overwhelmingly dealing with men in uniform, often dead heroes, and soaked with the idea of respectful commemoration and received interpretations – is to incline you not to look critically at the place of war in Australian history. Lastly, you asked me to touch upon the way that Australia’s relationship with other countries is changing as a result of war. This is certainly true, and is almost universally a positive phenomenon. Looking at Australia’s relationship with Japan, for example, cannot avoid the Pacific War, nor should it. But this phenomenon is by no means either benign nor is it looked upon critically. For example, let me remind you of the degree of sheer nonsense talked about the relationship with Turkey. It is now virtually orthodoxy that Australians and Turks in 1915 loved and respected each other, and – thanks largely to Les Carlyon’s 2001 book Gallipoli – that the real enemy were ‘English’ generals. As a result, Atatürk is now better known in Australia than, say, William Birdwood or Ian Hamilton, and the popular perception is that Atatürk was a military genius. By a bizarre example of cognitive dissonance people can think of Atatürk as a heroic genius, even though what he ordered his men to do – charge against machine-guns – is exactly what British generals are condemned for doing. Even more, we now see virtually everywhere the Atatürk quotation – the one that starts, ‘You the mothers’ – and which goes on to claim that Turks regard and have always regarded dead Anzacs as their sons. This is held up as a beautiful expression of reconciliation (and it is) but it is also a fine example of propaganda and successful propaganda at that. First, it isn’t true: Turks did not respect Anzac graves in 1915 and have never had responsibility for them since 1918. Secondly, is it true that Turks regard dead Anzacs as their sons? No, of course it isn’t: anyone who has seen where Turkish pilgrims to Gallipoli go, and where they do not go, knows that, while Turks are gracious and hospitable people, Turks today have no relationship with the dead invaders of their country. You may find this challenging. If so, I want to hear from you presently. I want to leave you with a few closing reflections. I think if we are truly to regard ourselves as being in the business of education rather than in propaganda, then we have to take a critical view of these received or popular ideas, and that offers a particular challenge to history educators such as you. Honest History has resurrected the term ‘Anzackery’ – coined in the 1960s by the great Australian biographer Geoff Serle, meaning the unthinking endorsement of Anzac guff – and it will, I think, become a useful touchstone for teachers over the coming four years. You may often find that in your classrooms you will be confronted with Anzackery. What will you do? I greatly respect the work of classroom teachers and admire your professionalism and dedication at a time of increasing demands and expectations, by parents, schools and society itself. How will you respond to this further challenge, especially over the next four or so years? As might be clear, I do not think that educators have patriotic obligations. On the contrary, I would argue that history teachers’ loyalties (in the classroom) should be to the practice of history with integrity and to their pupils’ developing of critical understanding, rather than to communicating or instilling a particular point of view. As I hope you’ll see, I’m offering these views in the spirit of Honest History. I’m asking questions like: Is that the only possible view? Why am I being asked to use this? How can I read this history? Do I agree? What do I think? And perhaps most importantly, how can we read the evidence? I suggest that we approach the coming centenary in a critical spirit, wary of becoming caught up in – or, worse, a tool of – the unthinking adherence to or adulation of the Anzac agenda. 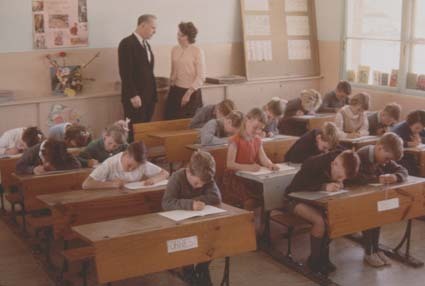 I did the Leaving Certificate at a Sydney high school in 1964. One topic was ‘The Causes of World War I’ which, depending on how you tackle it, is potentially one of the most challenging and enlightening questions of historical causation. However, I was totally unimpressed by the way it was taught at my school. The topic might have been more accurately named ‘Justify why Germany must be blamed for the outbreak of World War I’ which, even in 1964, was a highly political approach. I endorse Peter Stanley’s views expressed here 100%. In the early decades after WWII, when male teachers tended to be ex-service they were deemed to be patriotic by default, but I wonder how many of them were really. Patriotism, even if forced, seems to be stronger when there has been no military service. Very stimulating address Peter, thank you. I was disappointed that the audience discussion wasn’t posted here too. I have found a number of references to WW1 in contemporary issues of the Victorian Education Gazette and Teachers’ Aid, the official organ of the Victorian Education Department. It might be instructive for teachers to look at these now. For example the issue dated 22 September 1914 has a message to teachers about keeping children calm in the face of war. The issue of 9 December 1915 provides a list of gifts that children could send to soldiers at the front (handkerchiefs, tobacco, tooth powder etc). There are other notices about the teaching of German (20 July 1915). More to the points raised by Peter are items about the glory of war (18 June 1915), school rolls of honour (ibid and 16 March 1916) and a reprint of an article from the Times of London on history and patriotism (21 January 1915). I would imagine similar items can be found in similar publications in the other States.